Research shows that adaptive cycling using therapeutic tricycles can positively impact the physical, social and emotional aspects of the lives of individuals living with disabilities. 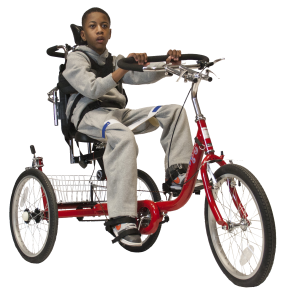 AMBUCS offers the Amtryke program with 15+ therapeutic tricycle frames and 50+ adaptive accessory options to allow nearly anyone to reap the benefits of adaptive cycling. 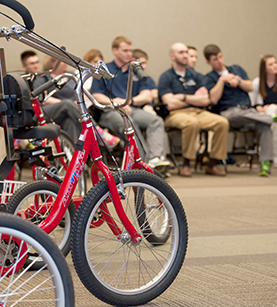 This course will serve as a training for licensed PTs and OTs, PTAs and COTAs (non-evaluation content) for appropriately evaluating and fitting individuals with disabilities for Amtryke adaptive therapeutic tricycles. There will be both didactic and hands-on learning lead by a trained instructor with extensive experience in this program. PTs and OTs will benefit from all aspects of this course from evaluation, selection and fitting. 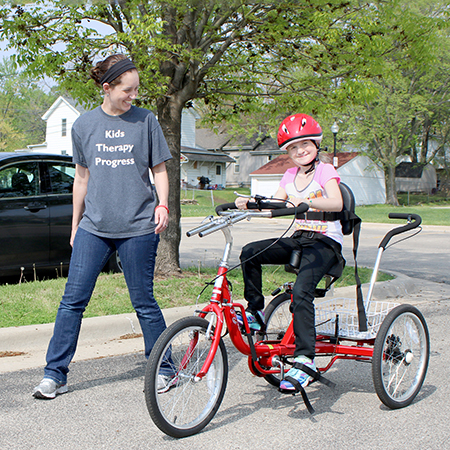 PTAs and COTAs will benefit from the understanding of the components and rationale behind the evaluation and selection process to be able to appropriately apply adaptive cycling interventions recommended by the PTs and OTs in the plan of care. For Physical Thrapists, AEFT CCU are certified by ProCert (visit their site for up-to-date list of states covered). We will also seek CCU approval from the Occupational Therapy Board of the state where each training is held. Since we are just launching this program, we will have limited dates in 2018. Dates will be provided below as we confirm them. PT – 5 CCUs certified by ProCert (UT, ID, WY, CO). OT – 0.6 CEU in Utah applied for and pending. 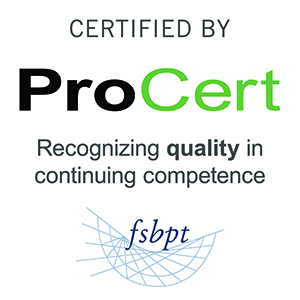 PT – 5 CCUs certified by ProCert (IL, MO, IN, WI, KY). OT – 0.6 CEU in Illinois applied for and pending. Includes all portions of the course, course materials and lunch. Cancellation/refund policy – In the case of cancellation, notification at least 14 days prior to the course date will receive a full refund. Notification after 14 days prior to the course will result in a refund of $50. 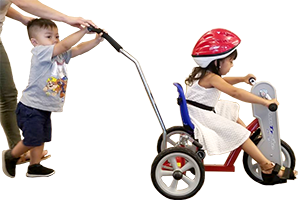 Conflict of Interest Disclosure – This course describes assessment for a therapeutic tricycle manufactured by Amtryke LLC, which is a fully owned subsidiary of the nonprofit organization, National AMBUCS, Inc. Clinical reasoning may be applied generally to other manufacturers. The therapist instructor is a member of his or her local AMBUCS chapter and receives a speaker fee, paid by Amtryke LLC, to present this course. He or she does not benefit financially from the order or sale of Amtrykes. AEFT registration information is collected and stored via GoMembers OnDemand. Its servers and databases reside at Amazon Web Services (AWS), which also provides database encryption. It uses a payment redirect model so credit card information never lives on the servers but, instead, goes directly to Authorize.net – the PCI compliant payment processor. Website Application Firewall (WAF) is provided through Incapsula and SSL (only allows SSL TLS 1.2 connections and also uses SSL to connect to the webserver.) The webserver only allows public connections via Incapsula that are also encrypted. The database is an AWS Regional Database Service (RDS) so it is isolated and is only accessible to the webserver. Interested in bringing the training to your area? Let us know! Here is a AEFT Logistics document outlining policies, procedures, benefits and requirements for groups considering hosting.